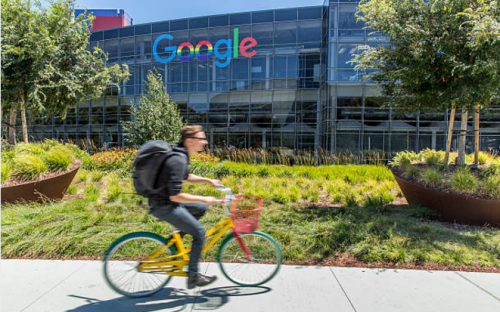 Are MBAs really persona non-grata in Silicon Valley? Actually, this happens to be one myth in an industry rife with them that has more than a hint of truth in it. The stigma against business school graduates has real roots. Some argue that the MBA backlash can be traced back to the mid-90s, a pre-Dot-Com era that nevertheless came upon the heels of a five-year feeding frenzy in which Valley startups clamored to snap up any John or Jane Doe with Stanford or Harvard on their resume, regardless of actual talent or experience. In the 90s, MBAs created a degree of hype around themselves that could never possibly be met. The subsequent fallout arrived when startups realized MBAs were closer to glorified paper pushers rather than the capable navigators of uncharted waters they purported to be. The fallout began and major tech players called out these status-driven MBAs for their tendency to blindly follow trends. So, what are schools doing to combat the stigma? Data—plain and simple. In other words: how to analyze, manage, use, translate, and transform reams of data into cold hard capital. Many business schools now make analytics an integral component of the curriculum to ensure that MBAs deliver a marketplace perspective on data as a holistic analog to the more inside-out outlook of the engineers they work alongside. UCLA Anderson has generated waves for its recent tech pivot. The school has seen collaborations with assorted California tech giants and has reportedly lured students away from more elite Eastern business schools. This trend coincides with major steps many business schools are taking to incorporate hard skills like data analytics into curricula and partner with tech in a way that suggests business schools are attempting to make amends for past transgressions. The big question remains: should you pursue an MBA if you want to go into tech? The answer seems to be a resounding ‘no’ with a quiet asterisk. “As tech firms mature, they start to place more and more value on strategy, which is why Amazon, Microsoft, and Google hire hundreds of newly-minted MBAs every year. While the days of an MBA fresh out of b-school expecting a red carpet rollout in Mountain View are long gone, a business school education in the hands and minds of an outside-the-box thinker (and doer) could take that self-starter wherever they wanted to go. The key is the marriage between new hard skills with the flexibility that a traditional business degree might give an MBA. Which US Business Schools Make The Most From MBA Application Fees?